Palestinian Authority President Mahmoud Abbas will have final say on the measure. Palestinian officials voted on Monday to no longer recognize Israel or coordinate on security matters. The Palestine Liberation Organization Central Council recommended the changes to the executive committee after a fiery speech from Palestinian Authority President Mahmoud Abbas. Abbas claimed Israel had "terminated" the Oslo Accords, which were the basis for peaceful negotiations between Israel and Palestinians toward a two-state solution. Abbas will have a final say on whether to go through with the recommendations. But his political career and current post are direct results of the Oslo Accords. 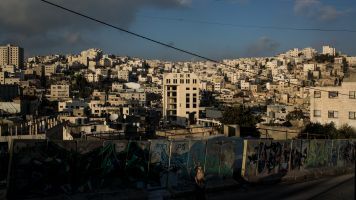 Tensions in the region have been high since President Donald Trump recognized Jerusalem as Israel's capital, despite the fact that the two-state solution framework calls for Israelis and Palestinians to negotiate ownership of the city together. Vice President Mike Pence is scheduled to visit the Middle East later this month. Abbas was originally supposed to meet with Pence but canceled in protest of Trump's decision.